Posted 4 February 2012 by Andy Short & filed under activity, news, Uncategorized. 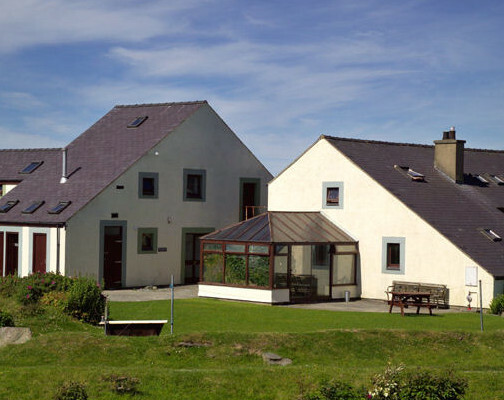 The Isle of Anglesey, off the North coast of Wales, is renowned within the sea kayaking community. 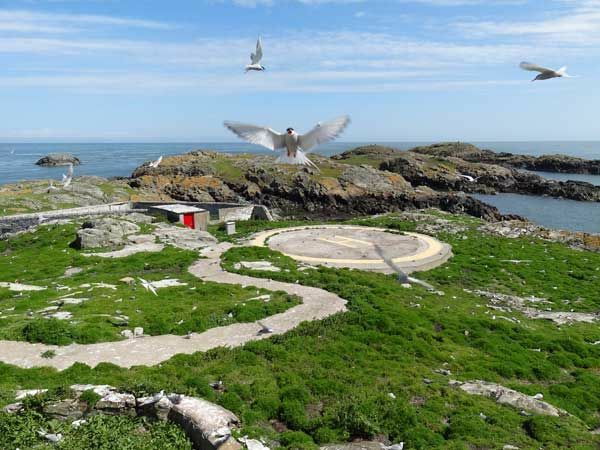 It’s location a mystery to many in the UK, sea kayakers from Scandinavia to the States wax lyrical about classic trips the Island offers – ‘the Stacks’ and ‘the Skerries’ foremost among them. Trips which among the initiated conjure visions of epic tide races and awesome overfalls. 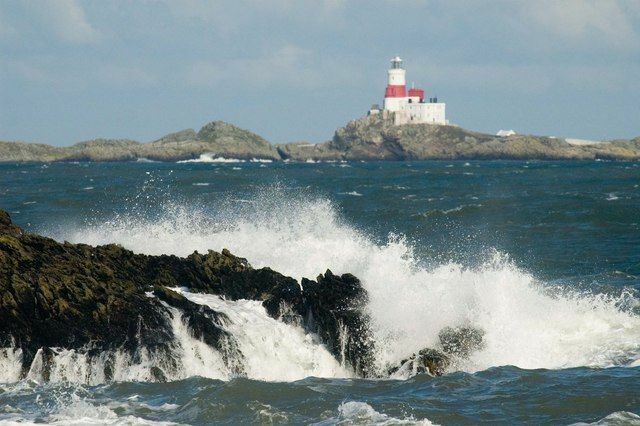 Anglesey, in Welsh – Ynys Mon, is a large squarish lump of rock 25 miles from end to end, protruding impudently into the Irish Sea. It’s very existence a challenge to the sea whose tides sweep passed on their daily lunar rituals – filling the Irish Sea with waters from the Atlantic and then returning them whence they came. On stormy days it seems the Island is about to be washed away but the rock here is stern stuff! The exposed North and West coasts bearing the brunt of the sea’s ravages include some of the oldest rocks in the UK. Psammites and Pelites formed some 550 million years ago with pre-cambrian limestone thrown into the mix provide the robust cliffs that give sea kayaking trips here such a dramatic backdrop. The sea kayak is the perfect vehicle for exploring Anglesey’s diverse and intricate coastal waters. It’s sleek grace silently parts the waters leaving the barest whisper of it’s passing. Robust enough to handle all but the roughest seas, and yet able to manoeuver the myriad channels finding hidden sea caves and lost lagoons only accessible from the sea. For the sea kayaker every rise and fall of the heart-beat of the sea is felt and woven into the dance of the paddles. Subtle shifts in balance and blade teasing power from the sea to enable the smoothest passage. 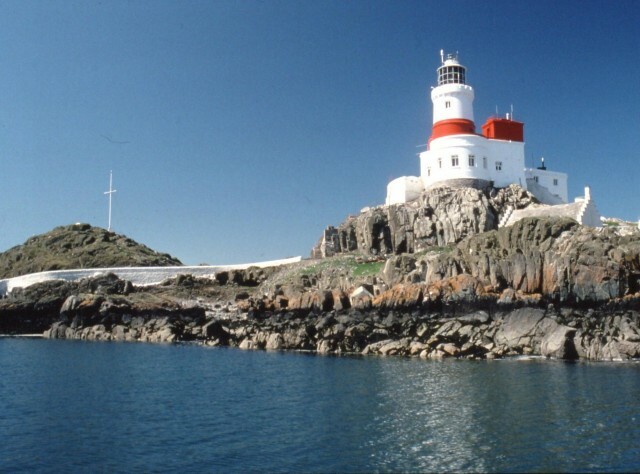 The Skerries are a small collection of islands sitting just 3 km off Anglesey’s North Coast, such a threat to shipping in the days of sail that they played host to Wales’ first lighthouse, built by William Tench in 1716. Today the light is automatic, as is the navigation on the passing ships, allowing them to pass well clear of the Skerries once infamous lure. The Islands sit in the middle of one of the strongest tidal flows in North Wales, with the water rushing by at speeds of 6 Knots on the largest tides. To arrive successfully at the Skerries is to be greeted by the local residents – a large group of Atlantic Grey Seals – who study you with their impassive yet inquisitive eyes. Perhaps they appreciate the sleek lines of the kayak hulls passing over their heads, or maybe just wonder at these strange creatures fixed to the roof of their world. In Summer you are as likely to be ‘dive-bombed’ by the Arctic Turns that make the Islands their home. From the vantage point of the lighthouse itself the full scale of the crossing is unveiled. The tidal stream is no homogeneous travelator, but alive, an intricate dance formed of faster and slower flows, bubbling eddy lines and up-swellings like giant mushrooms stretching the surface of the water. Where it flows through shallower depths, standing waves are formed – the overfalls of kayaking dreams. Beyond the strait lies Anglesey, the heart of druidic Wales of old, and beyond her the mountains of Eryri, Snowdonia – land of the eagles – on this occasion fittingly bedecked in snow. The return journey to Porth Swtan crosses the tidal dance. To enter from the safety of the eddy takes courage and conviction – to be timid here is to risk an early bath. Progress is made with boat pointed at an improbable angle upstream to avoid being swept out into Holyhead Bay, concentration tight to maintain speed and angle against the fast flowing waters. During the crossing I was reminded of a previous trip when, with wind opposing tide, the surface of the water had been thrown up giving 6ft waves with angry breaking heads. The dance had been more dramatic that day. Keeping above water being the primary goal and catching the wild, exhilarating run down the face of the waves the pay-off. The trip back from the Skerries seems longer than the journey out. Porth Swtan, sandstone cliffs glowing with an orange hue in the last of the setting sun, beckon in the distance over darkening waters. With muscles complaining after the day’s exertions it’s good to reach land again, and as the Skerries light sends it’s warning into the dusk it’s time to reflect on another memorable visit.